Bellevue Dentists were among the Seattle Area Dentists that attended a “Partners in Diversity” dinner and auction on May 19, 2012, put on by the University of Washington School of Dentistry. In addition to the Bellevue Dentists in attendance, many dental students and recent dental graduates of various ethnic backgrounds were in attendance. The students were sponsored as guests of the various dentists in attendance. The purpose of this function was to generate money for scholarships that could be awarded to school of dentistry students of various ethnic backgrounds. The four key note speakers were Native-American dentistry graduates from the UW School of Dentistry. New role models are providing hope to dental communities where minorities have been under represented. Partners in Diversity support the enhancement of a diverse student body at the University of Washington Dentistry School. This is being accomplished by private and professional sector support for an endowed scholarship fund that removes the financial barriers for historically underrepresented students in the field of dentistry. Professionals who graduate and become practicing dentists, dental instructors, and dentistry researchers will serve as role models for other minorities and increase the accessibility to health care for others. This will ultimately improve the overall health and well being of all of our communities. An example of a wonderful role model is our good friend Dr Pollene Speed at Rainier Family Dentistry, who was the first female African-American graduate of the University Of Washington School Of Dentistry. She also serves as the Chairperson for the UW School of Dentistry Admissions Committee. Her many accomplishments can be viewed on her website. 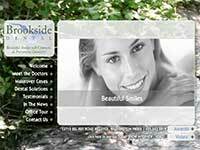 The Bellevue Dentists at Brookside Dental Bellevue are proud to have worked with Dr Speed in many capacities and to be financial contributors to the “Partners in Diversity” program. Congratulations on the fine charity work! Dr Perrone, Thank for the compliment. I think you are on the right path with wanting to help people and enjoying the work. You should talk to some dentists in your city or area about their feelings and then incorporate that information. Good luck. I don’t know of any other programs exactly like this in other states. However, you could contact the University of Washington diversity program and ask them.